++ can i use same software? +++ SET: arm_freq=700, core_freq=250 READ: arm: frequency(45)=600.000.000 ?? shouldn't that be 900 now? what would be a big boost ( only for a 10MB file tested). other question about cpu temperature, overclocking, cooling..
-1- RPI1B can use 1 big heatsink ( alu or copper cooler ) on the cpu / actually memory snap on) and 2 smaller on the ethernet chip and the "old" 3v3 regulator. AND 1 heat-sink pack ( 3pcs / with the 3M heat transfer tape on the back), looks now like i will install it on the "old" RPI1B. for my above SD speed test on a RPI 2 up to 20MB/s where reported in forum, Note: That was the 64GB card in the Pi2B, overclocked to 1000/500/7. as my old SD cards on a untuned RPI B show 8 ..10 MB/s i was impressed, while the buyer of that expensive card was very disappointed! 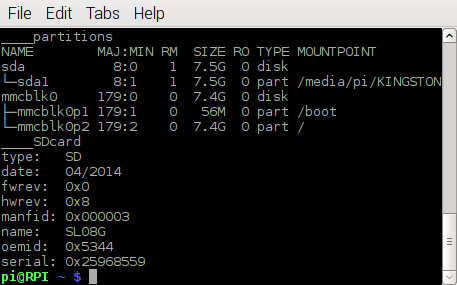 here my WHEEZY system is on a uSD Apacer 8GB class 10 HC /manfid 0x73?? problem is i first try to rename ( raspi-config hostname ) to RPI1 or RPI2, but that's very bad, what if you swap the SD cards! independent from the board/cpu the SD card is in. 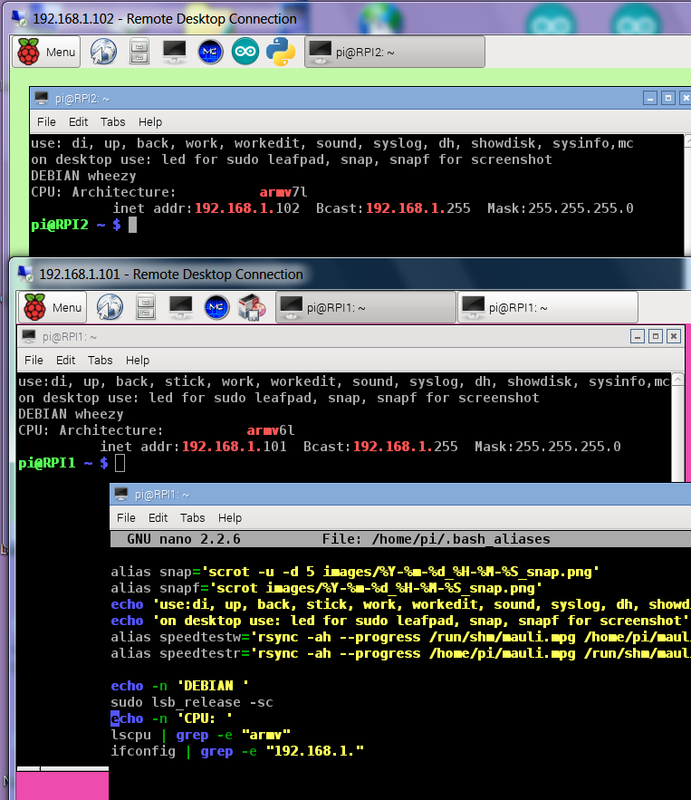 i am little bit confused, i start RPI2B first time from HDMI..
and try WLAN, not lucky! router or system? 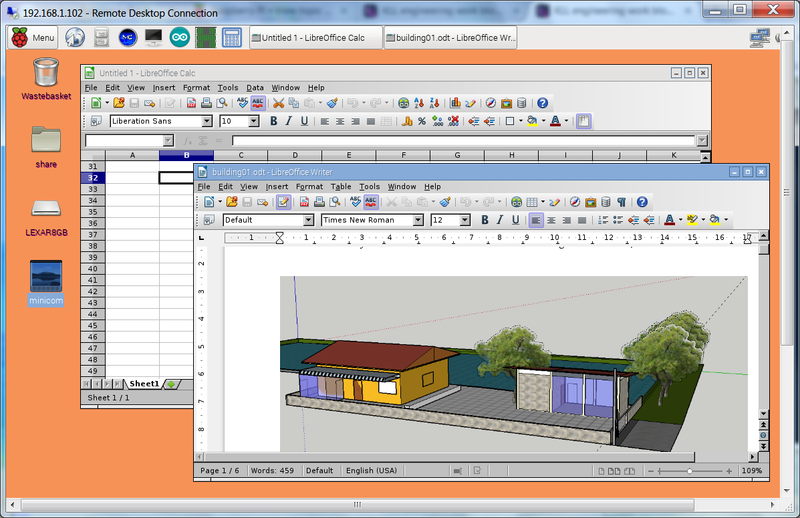 sudo apt-get install libreoffice-gtk much bigger but less readable, BAD TIP? but much more i like GOOGLE DRIVE / DOCS..., but sadly this not work with ?new? browser in RPI. 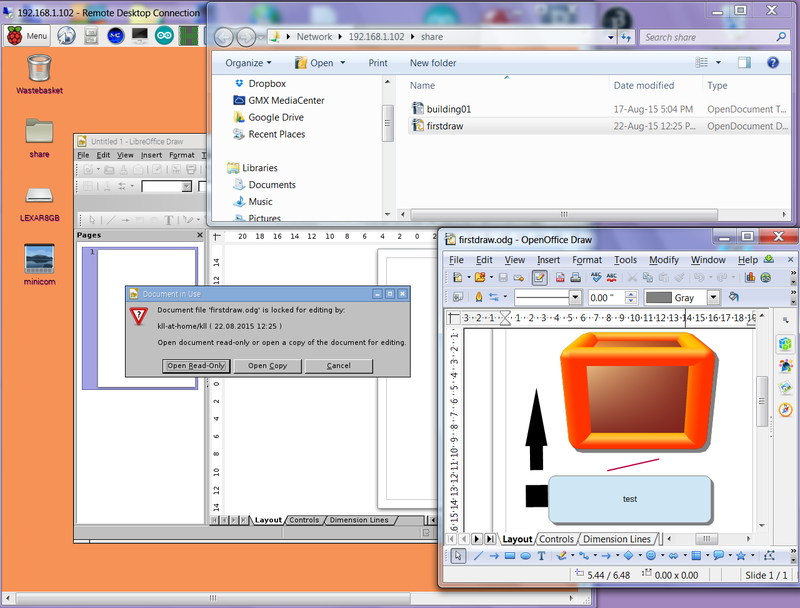 i make with libre office my first drawing and save it under my Desktop/share/ samba folder. if that file is still open by open office and i try on RPI to open it i get a correct warning!